Asian Financial Cooperation Association (hereinafter referred to as “AFCA”) is a regional non-governmental and non-profit organization registered with China’s Ministry of Civil Affairs, comprising financial institutions, financial industry associations, relevant professional service agencies and experts of the financial sectors from Asian countries and regions on a voluntary basis. President Xi Jinping first proposed to explore the possibility of establishing a communication and cooperation platform for Asian financial institutions at Boao Forum for Asia 2015. Premier Li Keqiang has then, on various occasions including Leaders' Meetings on East Asia Cooperation, Boao Forum for Asia and ASEAN Plus Three (China, Japan and the ROK) Leaders’ Meeting, expressed that China actively supports the establishment of AFCA. This initiative has obtained wide attention and active response from the international financial community. On March 25, 2016, 38 financial institutions in 12 countries and regions from Asia, Europe and America attended AFCA Originating Institutions’ Meeting in Hainan and signed Letter of Intent for Originating the Asian Financial Cooperation Association. On May 11, 2017, the Working Meeting on the Establishment of Asian Financial Cooperation Association was held in Beijing, during which 13 proposals were reviewed and passed, including Articles of Asian Financial Cooperation Association, Recommendations and List for First Term of Directors, Supervisors and Senior Executives of Asian Financial Cooperation Association. The successful conclusion of the working meeting indicated that the preparatory work of AFCA had been largely completed. The establishment of AFCA was listed into the achievements of Belt and Road Forum for International Cooperation. AFCA’s philosophy is “Connectivity, Cooperation, Joint Governance and Shared Benefits”. 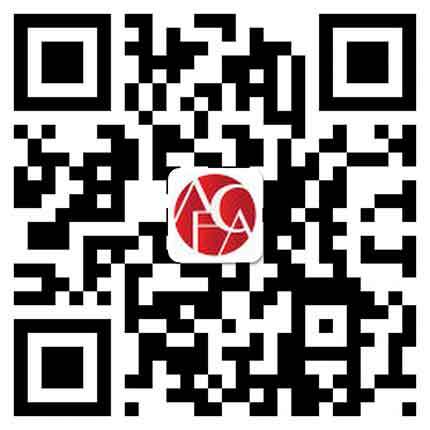 AFCA is devoted to building an exchange and cooperation platform for Asian financial institutions, strengthening exchanges among regional financial institutions and financial resources integration, jointly safeguarding regional financial stability, and supporting the development of real economy in the region. Meanwhile, AFCA is aimed at facilitating joint governance with shared benefits for all members through sound governance structure and institutional arrangement. To establish a liaison mechanism, promote communications among members, strengthen industry bonding, thus building a regional financier circle. To push members to move beyond “Information Island”, explore information intersections, integrate information and data, thus creating a regional financial information-sharing platform. To host high-level regional financial forums, issue regional financial development reports, create regional financial think tanks, thus building a regional financial idea-exchange platform. To facilitate cross-border financial infrastructure and business development, serve as an effective and unique link, thus building a regional financial cooperation platform. To summarize and promote best practices in regional financial inclusion, green finance and consumer protection, thus building a regional leading Corporate Social Responsibility platform for the financial industry. To organize or represent members to communicate and exchange with regional and global inter-governmental and non-governmental financial cooperation organizations, voice out the interest of the region, contribute regional wisdom and solutions, thus building an engagement platform for international financial governance. In terms of organizational structure, AFCA is composed of the General Meeting, the Board of Directors, the Executive Board, the Board of Supervisors, and the Secretariat. The first Board of Directors consists of 46 directors, the first Executive Board has 23 vice chairmen, and the first Board of Supervisors has 11 supervisors. In addition, AFCA will set up the Advisory Committee as its senior advisory body. Mr. Tian Guoli, Chairman of China Banking Association, serves as the first Chairman of AFCA. Ms.Diana Cesar, President of The Hong Kong Association of Banks, serves as the first chief supervisor. Mr Yang Zaiping serves as the first Secretary General and legal representative of AFCA. With its foothold in Asia, AFCA follows the philosophy of openness and inclusiveness. AFCA’s members are primarily financial institutions, financial industry associations, relevant professional service agencies and influential executives and senior experts in Asian countries and regions. Meanwhile, similar financial institutions and experts beyond Asia are also welcomed to join AFCA. Up to now, 107 financial institutions from 27 countries and regions in Asia, America, Europe, Africa and Oceania have confirmed to join AFCA as founding members, covering banking, security, insurance, fund, assets management, financial education, financial services and other sectors. Institutions and experts in Asia and beyond with influence as well as willingness to comply with AFCA’s Articles are welcomed to join AFCA. China Taiping Insurance Group Ltd.